Become a norm various political issues always blows hard and be present at each event coincided democratic party. From the start of the issue of ordinary without topics minus the risk to political risk even legal issues. On average a political issue in the circle is the law most often and likes to play the team successful one political figure. Matter of whether or not the issue, the other cases but usually political issues rise to the surface in the opinion of some people always hot discussed publicly. According to Barry Jones and Chase as the fit wikipedia.org site described the issue is an unsolved problem that is ready to take its decision. The issue represents a gap between corporate practice with the expectations of the stakeholders. So the source of the actual issues Referring to the case of the fact the problem and not just things that are vague, unclear and lead to defamation. Dismantling the secret behind the political issues are not too troublesome. 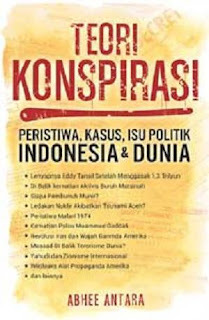 Several portraits of research already explained about this matter, as in the release of Indonesian Institute of Sciences on its official website lipi.go.id. 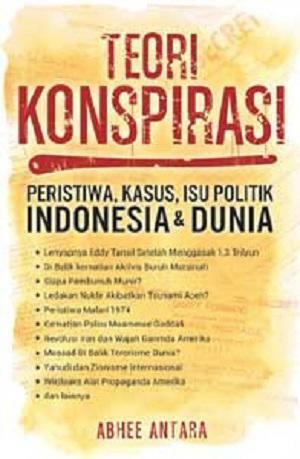 Revealed a unique fact of the survey results LIPI in the period June 25, 2012 until July 10, 2012 that only 23 percent of respondents claimed to be interested about politics and government. While that is not interested in political matters even more, reaching 30 percent. One-third of respondents in the poll admitted to not like discussing politics. The remaining nearly 20 per cent said they were happy to discuss political matters. When the question further, where they know the political issue, then the result is 85 percent of respondents said that knowing the mass media. I suspected this problem, there is a straight line relationship with decreasing levels of public confidence in the political parties and government agencies. The phenomenon of widespread circulation of legal cases to be one trigger apathy and indifference of society. The problem is, the phenomenon of psychological warfare political issues that rolls and thick flavorful law, has always been a political figure toy inter longer fight. Worse is also a political issue that is not supported by solid data. And so, a model of political propaganda as it was only in the realm of black campaign without giving any influence on the electoral level. The fact only 23 percent of people who care and are interested in politics and governance issues should be taken into consideration for a successful team to immediately draw on the political strategy capable alternative. Do not be too comfortable playing a political issues smelled law. This is like spitting in the wind direction, intentions create political opponents could be toppled, it elektabilitas eroded but unwittingly be subject to impact too. For a senior politician, build political issues is a must. It is undeniable that this is done, just for one purpose, that the concentration of the public could last longer and are always fixed on him. Unfortunately, to achieve that purpose, the largest portion of the political issues that are built mostly do not bring electoral effects, and more amusing continuously maintained. Open their niche by approximately 50 percent (30% admitted to not like politics and 20% did not like discussing politics) as has been previously parsed should be taken by a political figure to plus-plus acquisition of voice. Therefore it is important successful team immediately repack political issue capable of making people who do not like politics become interested, they look like a goddess descended from the heaven. Why not bring electoral effect? Obviously, the main subject of the issue as a whole and unanimously talk about yourself such political figures, so there is no relation at all with the public interest. Let easy to understand, if you are happy and at ease sit for hours listening to the story of someone without her care whether you have eaten or not, your job there is no problem, at home already use fuel LPG 3 Kg or still firewood and so on. Frankly I myself will quickly throw up and sick of hearing if the frequency of the issues are not qualified. How about you ? Different again if political issues diumbar questions benefit of the people, such as the issue of the impact of rising fuel, electricity rises, LPG3 rare, rising tax rates and so on. Then it will have the effect of electoral skew. Because the subjects discussed indirectly is a matter of public interest. Then, the critical question of political issues such as what should be built? Selection of political issues, important attention to the situation in the middle of the condition of the people, what the majority of the work, the problems they face. Actually there are quite a lot more positive issues that affect electoral and can be used to become campaign materials of a political figure. Rather than have to always drain the energy in vain, then I think it is very smart if a political figure able to be good at playing the 11 central issues. Even better if the issue was able to be presented to the public middle with different nuances, unique and strange. It will become viral and be the center of attention and a hot topic amid public space. Finally I would like to close this review, that the real political issues arose intelligent, without effort that you will never be able to taste it feels to be a winner in political battles.